Reassurance shield as 26 joins 41 and we prepare to cross to the Keweenaw Peninsula. 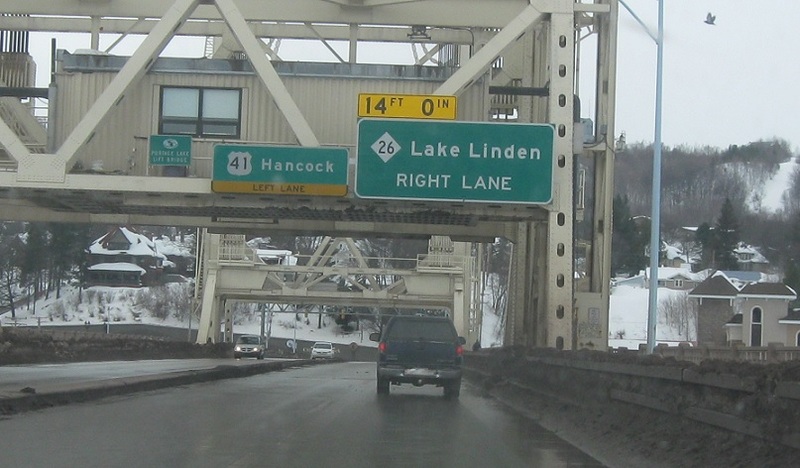 As we cross Portage Lake into Hancock, M-26 will split from US-41 again. 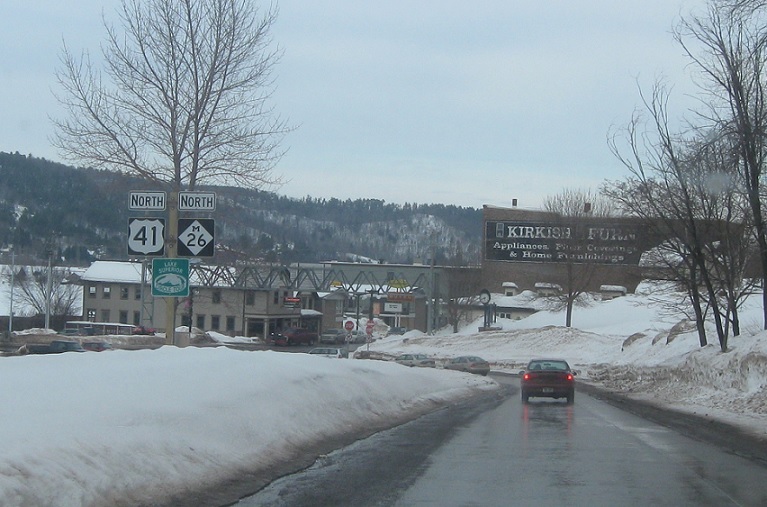 As we cross the bridge, turn right for M-26 north. 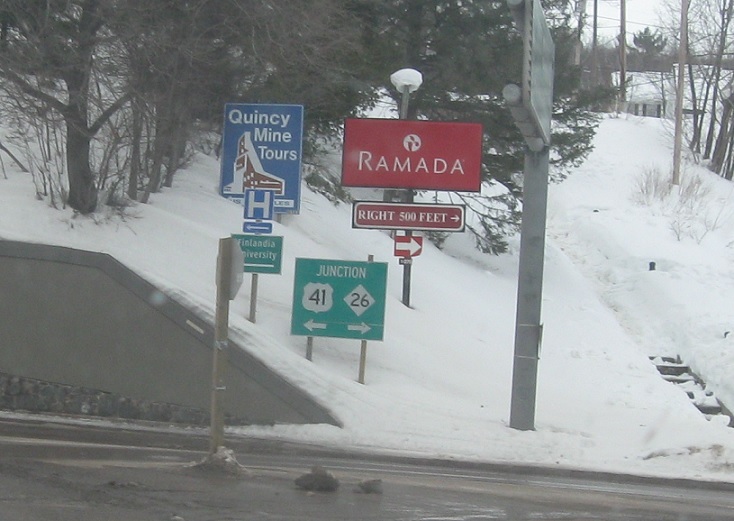 US-41 north heads into downtown Hancock.